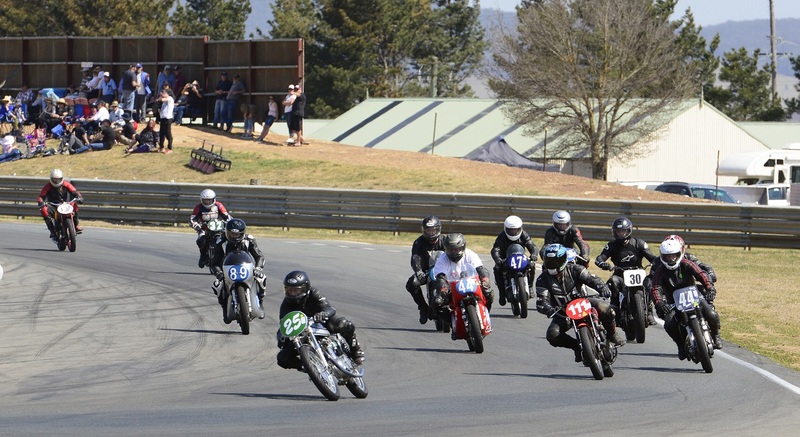 The 2017 Australian Historic Road Racing Championships on 9-12 November will feature one of the largest gatherings of historic motorcycles anywhere in the country this year, with more than 350 motorcycles set to attend Wakefield Park across the four days. This class encompasses pre-war motorcycles. The oldest bikes at the event will be Stan Mucha and Peter Birthisel’s 1926 Indian Altoonas. This post-war class was the pre-cursor to some of the classic race bike developments to come. This class includes all the best of British racers like AJS 7Rs, Manx Nortons and the like. It also heralds the arrival of the technological masterpieces from Japan, when their engineers created massive horsepower outputs by simply increasing the number of cylinders until the engines could spin anywhere up to and beyond 20,000RPM. This made them almost unrideable without gearboxes with at least seven or more gears. By the end of this era, the rule makers recognised that the technology needed some limits. At the height of the dominance of the Japanese bike industry, and at the expense of the ailing British business, not only did Yamaha and Suzuki produce some spectacular “over-the-counter” race bikes, like TZ’s and RG500, but also saw the evolution of the word “Superbike” – bikes constructed from big bore, multi-cylinder street models from most Japanese manufactures especially Honda and Kawasaki. Australia played a significant role in the creation of this continuing class. By this time, refinements in frames, engine outputs and management, and especially tyre and suspension design, allowed the rocketing growth of super-quick high horsepower bikes, best exemplified by the 250 Production class. This is now possibly the fastest growing and easiest entry to classic racing possible. Sidecars have been competing ever since solo motorcycles and are classed here as Post Classic, Forgotten era or F1 and F2. The difference is in the frame construction and engine size. The “sidecar boys” are a tight knit bunch who will be happy to talk to you if you find them in the pit area.